Want to learn how to create awesome sounding solos using jazz arpeggios on your acoustic guitar? Whether you love jazz, hate jazz, or are indifferent to it, it doesn’t matter! To study a little jazz does not mean you have to play jazz or become a jazz musician. These arpeggios, and more importantly, learning how to apply them to create amazing sounding music, will ignite your acoustic guitar soloing whatever style you play. They will bring to your playing a whole new sound that may otherwise very well be left undiscovered. • Discover how to drastically multiply your soloing possibilities using these arpeggios without any extra effort whatsoever. This one is a real game changer for your guitar playing! 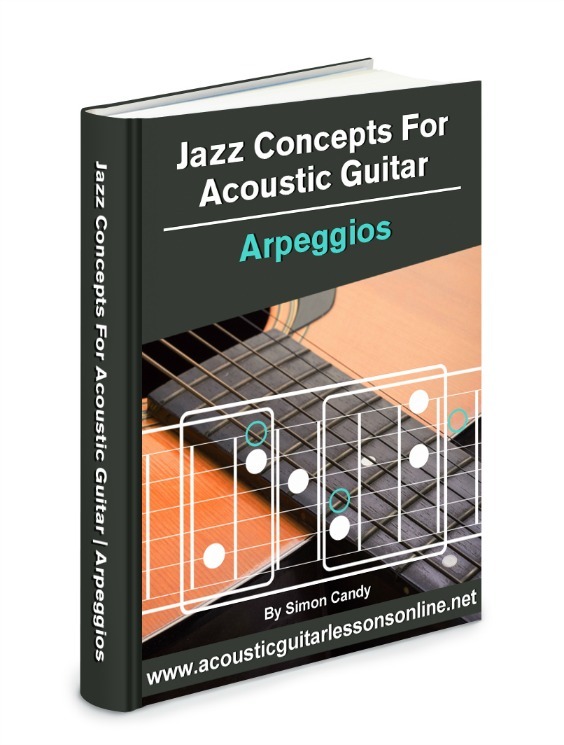 Get free instant access to “Jazz Concepts For Acoustic Guitar - Arpeggios ” now. Simply fill out the easy form below, then click the “Give Me Access Now” button.